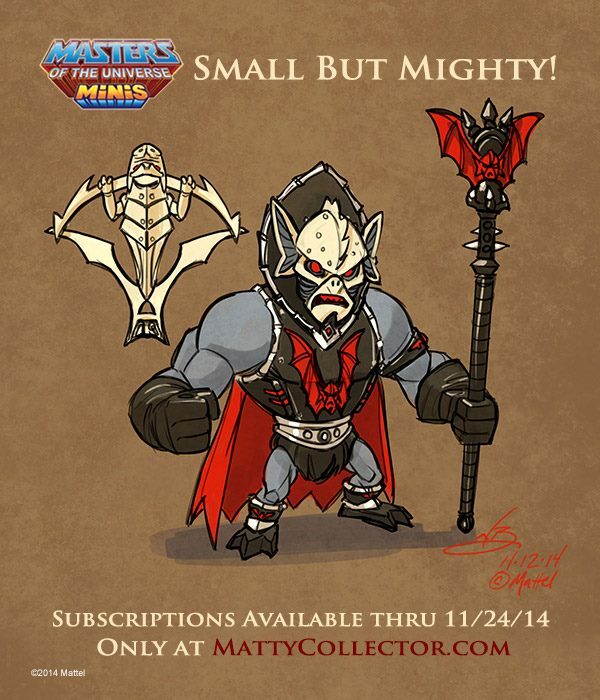 In an unprecedented post-Toy Guru move, Mattel and MattyCollector.com has revealed the entire wave of proposed 2015 figures sets for the Masters of the Universe Minis line in an attempt to get enough subscribers to make the line move forward for 2015. 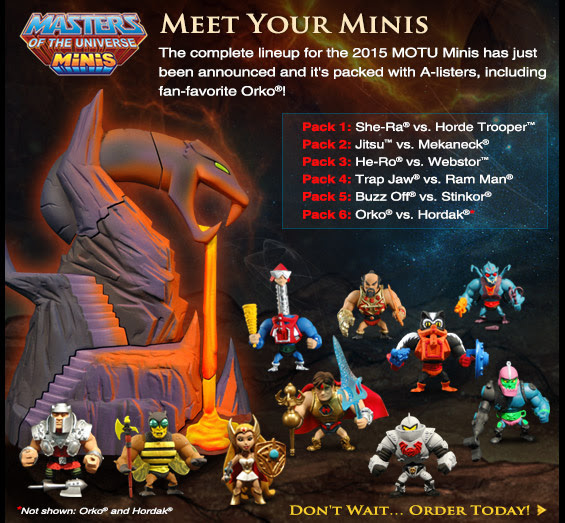 Buzz Off, Webstor and Stinkor will also be in the line. 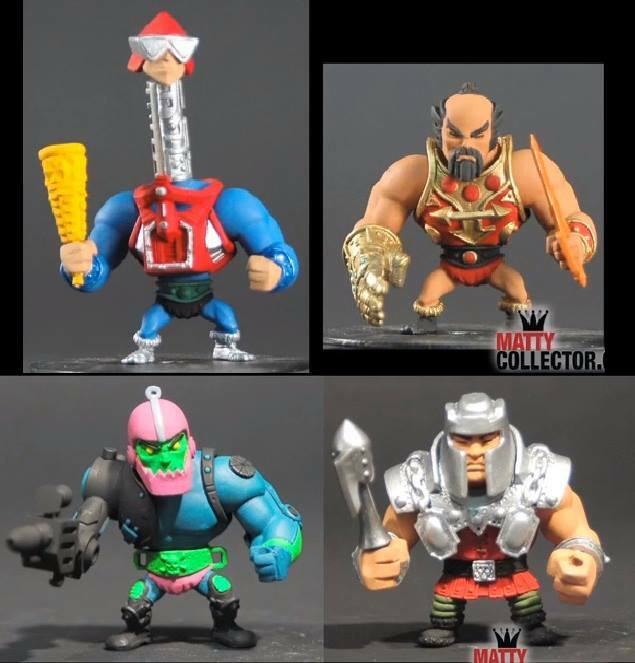 Now we know the full line up of all six 2-packs. Unfortunately the sub going forward, even with all figures reveled looks grim. With just 4 days left to sign up they are only at 25% of the subs needed for it to move forward. 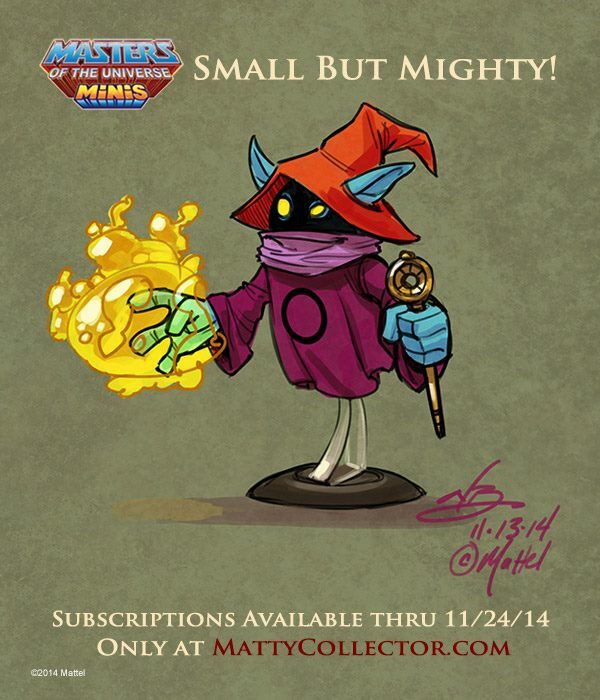 You can help the prospect of the line by going to MattyCollector.com and picking one of the 2 subscription offers. The subscription will close at the end of the day on 11/24. Was the previous comment English? Tip – punctuation is important to conveying one’s point in writing. Seriously. I had to read it three times to make sense of it. 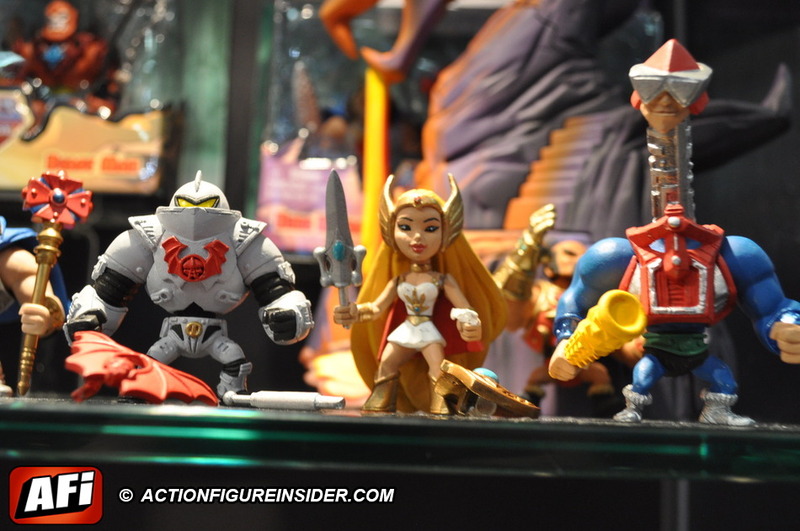 I’ll be interested to see if the mini-figures for year two show up during 2015. They are gorgeous but the price point is terrible! At even $12 per set I would have been interested. But when it comes out to more than $25 after shipping, there was no way these were going to sell.